On Aug. 28, Cape Coral's Aubuchon Homes celebrated its 25th anniversary of designing and building custom homes in Southwest Florida. Additionally, the Horizon Council, a public-private board established in 1991 to advise the Lee County Board of Commissioners on economic development issues, nominated Aubuchon Homes for the Business Citizenship Award. The winner will be revealed on Oct. 12 at an awards luncheon. "This served as an affirmation that I was in the right place to begin my career," Aubuchon said. 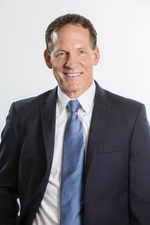 He started a home building company in his living room and developed it into the diversified Aubuchon Team of Companies, where he serves as president of Aubuchon Homes. He has earned such honors as Cape Coral Citizen of the Year, Lee County Humanitarian of the Year and membership in the Junior Achievement Business Hall of Fame. For six years he served as a State Representative in the Florida House. Aubuchon resides in Cape Coral with Andrea, his wife of 30 years, and is the proud father of three amazing daughters. 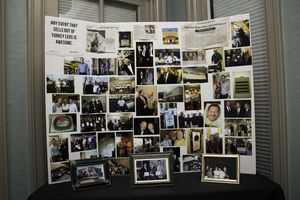 Nearly 80 team members celebrated the company's anniversary on Aug. 28 at the main office headquarters at 4707 SE 9th Pl. "That evening, we featured a ‘Memory Lane’ with a hodgepodge of old photos, newspaper clippings, marketing pieces and awards," Aubochon said. "Big Blue catered, we had a celebrity bartender mix a special ‘Aubuchon Cocktail,’ and UASTAR was in charge of our photo booth section." In the coming years, Aubuchon's main goal is to become a regional builder from Pine Island to Marco Island. He said his favorite aspect of his company is the people he works with and the creativity that flows from their projects. "Our team truly enjoys building and designing beautiful homes," he said. He was happy with the flow of testimonials that recently came through after Hurricane Irma impacted Southwest Florida, and provided one, which came from G. Nichols, as an example. Aubuchon Homes will continue its annual tradition, hosting Helping Hands for the Holidays on Nov. 20. This is the 19th year hosting the signature fundraiser, which benefits Make a Wish Southern Florida, Ronald McDonald House Charities SWFL and Lee BIA Builders Care. For more information about Aubuchon Homes, click here.